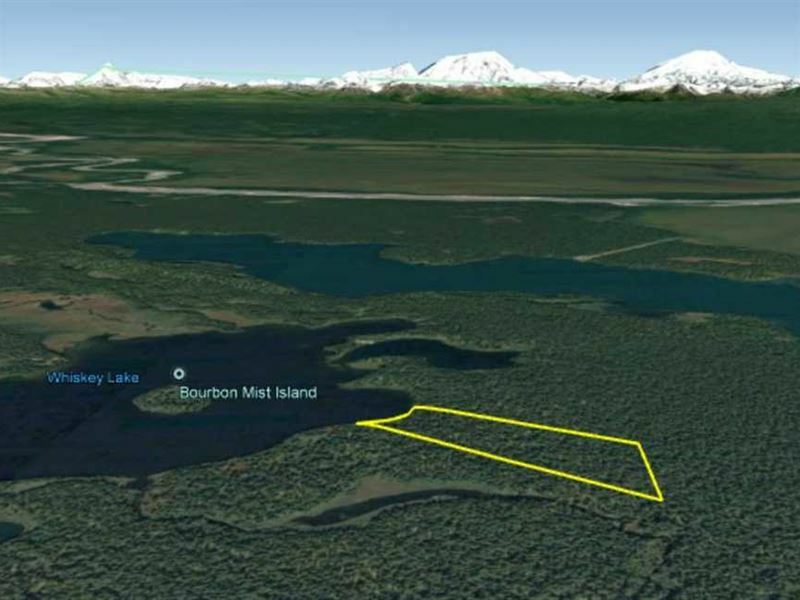 Enjoy all that Alaska has to offer on your nearly 34 acres of land located on Whiskey Lake. Located about 6 miles West of Skwentna and is accessible by Ski Plane, Atv, or Snow Machine during the Winter and by Float Plane during the Summer. Fantastic recreational/hunting cabin site. Wildlife Galore. With Bears both black and brown and Moose. Enjoy being off the grid but not too far from civilization during the winter, travel by snow machine to the Skwentna Roadhouse for a burger. Enjoy fishing, Moose and Bear hunting, or just taking in the sights and enjoying lake-view sunsets. Directions Located approx. 6 miles above the junction of Yentna and Skwentna Rivers. Accessible by float plane. Remote - Fly In, Snow Machine.